Below is the opening extract from Quigley’s Corner aka “QC” Monday, Oct 22 2018 edition distributed via email to institutional investment managers and Fortune Treasury clients of Mischler Financial Group, the investment industry’s oldest minority broker-dealer owned and operated by Service-Disabled Veterans. Today the IG dollar DCM hosted 2 issuers across 5 tranches totaling $2.65b. The SSA space was quiet. A mellow session indeed folks as Constellation Brands Inc.’s $2.15b 4-part M&A-related financing to acquire Canopy Growth Corporation represented over 80% of today’s supply total. 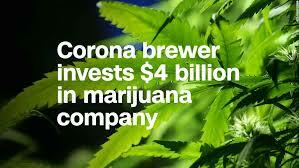 The deal marries the owner of Corona and Modelo beers with Canopy that manufacturers a cannabis-infused beverage. Most domestic brews contain between 4.2 and 5.5 percent ABV (Alcohol By Volume), while non-alcoholic versions, such as O’Doul’s, have only around 0.4 percent ABV. While these booze-free concoctions technically do have some alcohol, the consumption of these beverages cannot lead to intoxication. Just the same as CBD products with 0.3 percent THC cannot produce a high or put the user in jeopardy of failing a drug test. Drug screens are only searching for one specific cannabinoid when trying to determine whether the subject has been using marijuana, and that is THC. So no matter how much CBD is coursing through a person’s veins at the time of the test, it will not bring about a failed result. The only way the small amount of THC buried in hemp-based CBD products might be able to shine through and trigger a false positive is if a patient was consuming upwards of 1,000 milligrams a day. To put this into perspective, most CBD users consume an average of 120-to-160 milligrams daily. In other words and in plain English, CBD will not cause you to fail a drug test. See that? Who’d have thought? All this included free of charge with your daily “QC” fix! The IG Corporate WTD total is 13.42% of this week’s syndicate midpoint average forecast or $2.65b vs. $19.74b. MTD we’ve priced 68.60% of the syndicate forecast for October IG Corporate new issuance or $75.895b vs. $110.64b. There are now 24 issuers in the IG credit pipeline. The average spread compression from IPTs and/or guidance thru the launch/final pricing of today’s 5 IG Corporate-only new issues was <18.40> bps. BAML’s IG Master Index was unchanged at +117 vs. +116. (It’s post-Crisis low is +90 set on 2/01). Bloomberg/Barclays US IG Corporate Bond Index OAS was unchanged at +111. (1.24 represents the high on 6/04; 0.85 is the post-Crisis low set on 1/30). Standard & Poor’s Investment Grade Composite Spread was unchanged at +149. (+125 represents its post-Crisis low set 2/02). Investment grade corporate bond trading posted a final Trace count of $14.9b on Friday versus $18.2b on Thursday and $16.1b the previous Friday. The 10-DMA stands at $16.8b. Updates are in BOLD print! U.S.-China Trade War 10/18 –Pres. Trump’s Chief Economic Advisor, Larry Kudlow commented that “China has not responded to U.S. asks regarding the trade deficit or the theft of intellectual property” adding that the PROC is “moving in the wrong direction, with a more closed and less liberal economy.” China announced it granted police the right to inspect internet providers and users. On 10/09 The IMF cut its global growth projection for the first time in two years to 3.7% from 3.9% at its annual meeting held this year in Bali, Indonesia. 10/03 – China is waiting for U.S. mid-term elections to see how voters react to Pres. Trump’s tariffs before responding to U.S. demands given China’s slowing economy, subsequent pressure on growth and struggling SMBs. The USMCA forged on 10/01 also bars any of the 3 member countries from entering into a free-trade deal with China allowing the other members to terminate USMCA with a 6-month notice. YTD the S&P 500 is now up 3.47% while China’s Shanghai Shenzen CSI 300 Index is down <23.96%>. The difference is <27.43%>. So…..who’s winning and losing the trade war? EU in Deal with Axis? 10/22 – MBS, the Crown Prince of Saudi Arabia and son of King Salman bin Abdulaziz Al Saud, is squirming with pathetic and insulting excuses as to the true death of Washing to Post journalist and U.S. resident Jamaal Khashoggi. The latest excuse is he died in the Saudi embassy in Istanbul on 10/02 due to a choke hold following a fight. This after over two weeks in which the House of Saud said Khashoggi walked out of the Turkish consulate alive. So, where’s the body? 18 are under arrest with the fall guys becoming a Saudi intel chief and MBS advisor. In response, the Kingdom said MBS will oversee the reshuffling the intelligence department. Really? The King should be King and the Crown Prince needs his father’s foot where it counts. 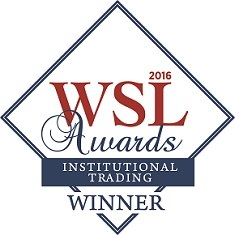 10/18 – U.S. Sec. of Tsy Steven Mnuchin announced he will not attend MBS’s “Davos in the Desert” Conference in Saudi Arabia. The “Future Investment Initiative” is now referred to as the “F”-it Initiative. The list of corporations that out of the Conference include: JPM, Goldman Sachs, BlackRock, Blackstone, IMF, BNPP, SocGen, Google, Uber, The NY Times, Bloomberg, The Economist, the FT, AOL, Sotheby’s, Virgin, HSBC, CS, Standard Chartered, TPG Capital, Ford, MasterCard, World Bank, Viacom among many others. 10/15 –Turkish officials claim a Saudi hit squad tortured, murdered and dismembered MBS critic Jamal Khashoggi (cousin of the late Adnan Khashoggi) inside the Kingdom’s consulate in Istanbul on 10/02. Khashoggi was a fierce critic of MBS. If proven to be murder, a staunchly bipartisan House and Senate are calling for a firm U.S. response/sanctions against the Kingdom in a highly sensitive region of the world. The Senate already invoked the Magnitsky Law giving Pres. Trump 120 days to determine sanctions against the Kingdom. No Petrodollars will buy his way out of this should it prove true. 10/22 – Pres. Trump announced he’s prepared to pull the U.S. out of the 31 year old INF Treaty brokered by Reagan and Gorbachev in 1987 to end the arms race and to protect Europe. Trump said Russia and China are not adhering to treaty guidelines of the Intermediate Range Nuclear Forces Treaty that bars the manufacturer, possession and testing of cruise missiles with a range of 300 to 3,400 miles. The DoD, NATO and UK Defense Chief all confirmed Russia’s continued violation of the treaty. Trump’s DoD will manufacture them sparking many to fear a new arms race. Trump added that he would welcome a new treaty if both China and Russia showed true commitment to it. 10/22 – U.S. midterm elections on Nov. 6th. If GOP wins House & Senate, Trump’s will pass all of his agenda; If Dems win both, impeachment will be their agenda; Likelihood is: Dems take the House, GOP gains in Senate So, for two years the Dems will flaunt their extreme left liberal agenda for two years setting Trump up nicely for re-election. Net, net, GOP comes out on top in two of 3 scenarios. Knowing the Dems will not sweep. 10/22 – PM May proclaimed that BREXIT is 95% done and is hopeful that Parliament can firm up a resolution to the hard border issue between Ireland-N.Ireland to prevent further troubles prior to expressing disinterest in an extended transition period for the UK. Among resolved issues is the status of Gibraltar and RAF bases located on Cyprus. The current transition period is Dec. 31, 2020. 10/19 –May asked EU leaders for help to sell it to Parliament. Merkel, Juncker and Macron are onboard saying the problem is in London not Brussels. The U.K. is slated to leave the EU on March 29th, 2019. 10/19 – The EU Commission informed Italy’s FinMin that the proposed coalition gov’t budget is in serious non-compliance with EU rules setting up the possible rejection of an EU member ‘s fiscal plan. Italy remains on the edge of a massive banking crisis as Dep. PM Matteo Salvini referred to the EU Commission as “enemies of Europe” after the latter rejected Italy’s deficit spending plan in a leaked letter that as of today pushed the BTP to 3.68% or +326 vs. the Bund. Luigi di Maio, 5-Star leader and Dep. PM as well insisted that “the Italian gov’t will not retreat even” if spreads blow out thru 400. 10/03 –Concerns abound that Italy’s much higher deficit numbers could spark downgrades in the world’s #3 debtor nation, and the EU’s 3rd largest economy, raise rates to untenable levels, fall out of compliance with the EU budget and break from the EU. Italian banks hold ~$215 equiv. of non-performing loans, more than any EU nation. Italy’s debt to GDP ratio is 130%. The EU targets 60%. 10/22 – Brazil’s far-right candidate Jair Bolsonaro maintains a commanding lead in Brazilian polls over the leftist Worker’s Party candidate Fernando Hadda 58% to 42%. The maverick nationalist candidate is atypical to the political establishment, tough on crime and very outspoken. The final election will be held on Sunday, October 28th. Brazilians are fed up with political corruption and violent crime. Bolsonaro won the first round of the Presidential election 46% to 29%. It is the latest in what is yet another global leadership campaign of extreme opposites. Terrorism October MTD 2018 Terror Event Casualty Total: 146 terrorist attack; 769 dead; 986 wounded. *Terror Event statistics include attacks by violent non-state actors. It does not include terrorism related to drug wars and cartel violence. For ratings, I use the better two of public domain information from Moody’s, S&P or Fitch. *Denotes new high or low. USTs: traded in a relatively narrow range with a steepening curve. Overseas 10-year: Core EU and Peripherals mixed, Aust. & NZ bought, Japan and China sold. SOFR was unchanged at 2.19. 3mth Libor: +0.008 to 2.477 vs. 2.469. Overseas Stocks: Europe sold, Asia bought. Currencies: DXY Index +0.319 to 96.032 vs. 95.713. CDX HY: +3.96 to 344.277 vs. 340.317. CDX EM: -2.253 to 201.958 vs. 204.211. For the week ended October 17th, Lipper U.S. Fund Flows reported a net outflow of $54.347m from Corporate Investment Grade Funds (2018 YTD net inflow of $71.054b) and a net inflow of $446.683m into High Yield Funds (2018 YTD net outflow of $22.457b). Over the same period, Lipper reported a net inflow of $47.928m into Loan Participation Funds (2018 YTD net inflow of $11.670b). Emerging Market debt funds reported a net inflow of $153.404m (2018 YTD inflow of $3.165b). Spreads across the four IG asset classes are 20.25 bps wider versus their new post-Crisis lows! Spreads across the major industry sectors are an average 29.63 bps wider versus their post-Crisis lows! Above is the opening extract from Quigley’s Corner aka “QC” Monday, Oct 22 2018 edition distributed via email to institutional investment managers and Fortune Treasury clients of Mischler Financial Group, the investment industry’s oldest minority broker-dealer owned and operated by Service-Disabled Veterans.